Three mothers lose children in this film. 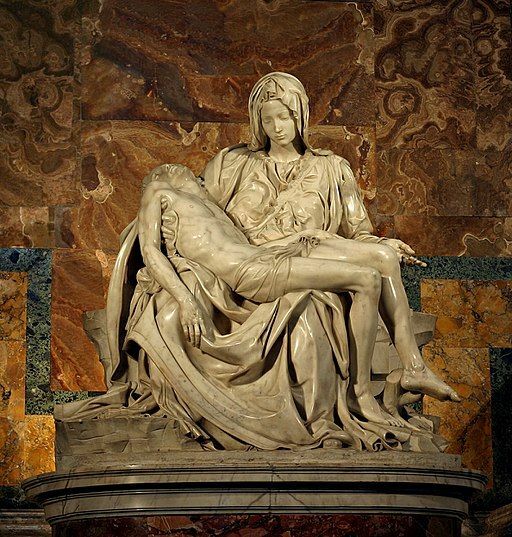 How is the death of a son or daughter the foundation of the movie – and of Christianity? With Susan Sarandon, Sean Penn, directed by Tim Robbins; nominated for four Academy Awards with Sarandon winning as Best Actress. Based on a book by Sr. Helen Prejean, CSJ. Since this movie was made in 1995, the world has exploded with violent crimes. Individually and as a society. How do we who follow Jesus regard those who have committed unspeakable crimes against society as well as those who have hurt us individually beyond measure? Can forgiveness be bought with the price of a confession? What if I get stuck in the alley? What if the alley doesn’t get plowed until late? What if the garage door freezes shut? What if no one shows up at church? What if I fall and break a major thing? What if we can’t get to Theater La Te Da on Sunday night to see my friend’s favorite play in the whole world? Should we change the tickets? Do they even do that? What if it blizzards on the date I change them to? Who do we call if we get stuck? What if the sermon bombs on Sunday (especially worrisome because people are going to “unpack” it Wednesday night). What if I duplicate some “forgiveness” themes that I should save for the movie class Thursday and the following Sunday? What if the movie I’ve chosen to use is dated? What if the projector and other equipment fails me (as it always does)? What if ……? Oh no….What if the power fails (see 1 above)? Winter can breed a sense of increased vulnerability and dependence. The media ramps it up with dire predictions and talk of records, while using the “wind chill” as the realair temperature (You’re not fooling me, channel 11). Spinouts everywhere! Worst ever! Stay home if you can! School closings march somberly across the bottom of the TV screen. I admit to being a worrier. Always have been. It’s never helped me one bit. What does help me on Sunday mornings is living two blocks away from the rector who is a pretty fearless driver and who is wiling to pick me up). You have known moments when what you believed was so clear, it was like ice, sharp and clear and pure. You have also known disappointments so profound that they have numbed you with the blunt trauma of doubt. You have felt called. You have felt abandoned. You have seen healing. You have seen death. You have seen dreams fulfilled. You have seen hope slip through your fingers like sand. You have the patience of Job and the temper of Peter. You are proud You are obedient. You are still here. You are a disciple. I never thought of myself that way before. Read it again. Maybe you, are, too. *FromHope as Old as Fire, A Spiritual Diary, by Steven Charleston, Red Moon Publications, 2012. Some of the things I am striving for this year, as interpreted by three of my favorite supporting players. I hope you, too, find something in their words. … And there’s certainly plenty of that… the rising, the falling, the rising, the falling…. … since life doesn’t really get easier…. These themes may be reflected in next Sunday’s sermon which I am attacking with vulnerability, endurance, authenticity, and you know the rest. The lesson is the Wedding at Cana and it is (to use one of Craig Lemming’s favorite words) fabulous (the lesson, not necessarily the sermon but it’s coming along). Now get back to work….. It was her first solo flight as a 29-year-old student pilot, a prerequisite for getting her license. As she flew the small plane over downtown St Paul, the plane’s engine sputtered and Sheryl Ramstad guided the crippled craft to the ground, being able to steer away from densely populated neighborhoods and freeways. She thought she was going to die but did not want to take others with her. It was 4:00 on a 4th of July weekend; the river was full of boats and the freeway was full of cars. She finally spotted an empty schoolyard that connected to an alley. Coming within ten feet of a woman sunbathing in her back yard, the plane bumped to a hard landing and became engulfed in flames from fuel in the tank, trapping Sheryl inside. “It was an inferno,” she says. She finally burst through a door, crawled out and, badly burned, collapsed at the front of St Vincent’s Catholic Church. The priest came out and gave her last rites. She was taken to the hospital with burns on 37 percent of her body. She spent seven weeks in the hospital, underwent multiple surgeries and for two years had to return to the hospital every day for rehabilitative therapy. Sheryl was a wife, a lawyer, a federal prosecutor, and thought she was nearing the peak of her career. Her doctor considered amputating her right hand which was burned down to the bone but was able to graft skin on to it. Miraculously, it healed. Reflecting on this experience some thirty years later, she said what saved her life was the split-second decision not to pull back on the controls of the plane—which would have been the natural instinct, to try to get it airborne again. Instead, she set the gears in landing mode, tried to steer the nose of the plane, and was able to get it down. She has not pulled back on anything since. Not only did she have extensive burns, Sheryl gained sixty pounds in the first three days in the hospital. Doctors discovered she had a burst intestine, and a very risky surgery followed where she was given a ten percent chance of survival. Sheryl’s resume is impressive: Assistant Hennepin County Public Defender; Assistant U.S. Attorney; Hennepin County Judge; Minnesota Commissioner for the Department of Corrections in the administration of Governor Jesse Ventura; partner at Rider Bennett Law firm, and now Chief External Relations Officer at Hennepin County Medical Center. She is also the sister of long-time Congressman Jim Ramstad. However, it is her experience aside from these roles that is equally impressive. Some thirty years after her accident, Sheryl decided it was a time for a career change. So while working full-time as a judge she began taking prerequisite science courses (one at a time) so she could apply for the University of Minnesota Master in Nursing program. Her experience as a burn patient was still very much on her mind and she wanted to give back, to care for others who had undergone experiences similar to her own. Eventually, she received her Doctorate in Nursing Practice, Heath Innovation and Leadership from the University and went on to serve on numerous boards and in a variety of programs for burn victims and others who needed help. She is part of the Phoenix Society for Burn Survivors, International, and is president of the University of Minnesota Nursing Alumni Board. Sheryl’s life has been about far more than her career. She and her first husband adopted three children, now grown. That marriage ended in divorce but she notes that “I’m in a much better place now.” Twelve years ago at St. Mark’s Cathedral she married Lee Larson, an executive with Benedictine Health, an organization that is an innovator in many areas of health care. They have a beautiful home and enjoy gardening, travel, biking, plays and movies. There are grandchildren out of town to visit. Now residents of St Paul, they joined St. John’s two years ago. When she was Commissioner of Corrections, Sheryl came to admire the Prison Fellowship program for giving hope to the most hardened and hopeless offenders. In a speech she said this: “Many become suspicious of those who come to Jesus while they’re behind bars. Yet, as someone once said, ‘groanings that cannot be articulated are often prayers that cannot be refused.’ It’s Prison Fellowship’s vision that people who are impacted by crime can experience the redemptive grace and peace of Christianity. Prison Fellowship extends a hand of friendship that can serve as a buffer against the many rejections that an ex-offender faces.” As a wounded healer herself, she has offered the hand of friendship and assistance to many people in distress. She observes that everybody has “stuff;” that is, no one seems to get through life pain-free. I’ve witnessed Sheryl in action: she brought a bouquet of flowers to the 8th floor of the hospital so they would be in my room an hour after my knee surgery; there were delicious meals at the door as soon as I got home; the perfect book offered as a gift; and a thoughtful visit from Sheryl and Lee coming home from the State Fair bringing mini-donuts and Sweet Martha’s chocolate chip cookies. She is the real deal and I am honored to call this outstanding woman my friend. All of us are lucky that Sheryl and Lee have made St. John’s their home. As I was listening to the Advent story in Godly Play today, I thought to myself, “this is my favorite Godly Play story!” I say this about every story, really. I love the process of Godly Play, and what I learn from the children. The children know so much about the mystery; they are so serious and so close to God. There’s so much to look forward to in the Advent story. There is so much anticipation during this season. Sometimes I run right through Advent without even recognizing it. The children reminded me that I need to be ready for Christmas—not the commercialism of Christmas, but the mystery of Christmas. At this time of year we also begin preparing for the Christmas pageant. This beautiful retelling of how God came to be human and live among us, is told by our children every year at St. John’s. It’s such an important story, and children are the best ones to tell it. They are adorable, funny, and excited about the whole thing. And they are so ready to enter the mystery. Our children get to carry this important message of hope to all of us again. They get to tell the story of Christ’s birth, of God’s incarnate love. I believe this is something that most of us at St. John’s look forward to. We love to see our children perform in all of their cuteness. But is “cute” what we’re trying to do? I’m not sure the children want to be thought of as cute. That doesn’t makes much sense for a faith community whose children are participating in one of the most mind-blowing mysteries of the entire Christian tradition. This is serious and important work. Don’t get me wrong—I think they are cute, too. But the work they are doing is so much more than that. When we think of them as merely cute, we’re limiting them and we’re limiting what they are doing. They are telling one of the most important stories in the New Testament, and all along they are reminding us of how to stop and get ready for the mystery of Christmas. Originally published in the January-February 2017 Evangelist. One of my favorite times during the Advent season, both as a church musician and as a churchgoer, is the Festival of Nine Lessons and Carols. It is a wonderful way to worship and look ahead to the season of Christmas. Lessons and Carols began on Christmas Eve in 1918 at King’s College Cambridge for the purpose of providing an additional, unique, and creative worship service. Included are nine readings and each are paired with related congregational hymns and choral anthems. The Lessons and Carols service at King’s is still broadcast every year on Christmas Eve. Millions watch worldwide to hear the beautiful choir and the elegant sounds of the organ, and to see the beauty of King’s Chapel. Eric Milner White, Dean of King’s College when Lessons and Carols originated and the person responsible for planning the service, made a point to emphasize that the service focus is not on the music but on the readings, and that the musical selections are simply derived from the readings. I believe that is what makes it such a fantastic experience: to hear a reading and then to hear it again through a musical form. The readings that you will hear coming from the books of Genesis and Isaiah and the gospels of Matthew, Luke and John, describe events leading up to the birth of Jesus and those that happen just after. After the fifth lesson, for example, which talks about the Angel Gabriel visiting the Blessed Virgin Mary, the choir will sing an anthem called “Gabriel’s Message,” to a tune that will probably be familiar to you! The Festival of Nine Lessons and Carols is truly a special event and one that can joyfully prepare us as we await the Christ child. As Episcopalians, we are so blessed to be a part of a beautiful liturgical tradition year-round and special services such as these are ones that beautifully emphasize that. I hope that you will join me in looking forward to this annual event that opens the scriptures to us in a creative and powerful way! And each year as we get older, the holiday “baggage” may increase, with painful memories and more empty seats at the table. Still, we come to church, to hear the stories, to listen to the music, to pray the prayers, to receive the Bread and Wine, to be a part of the community, and to have an hour to be quiet amidst the bustle. 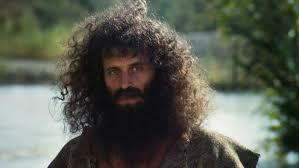 This week, the wild man John the Baptist strides into the picture, the desert ascetic, outrageous, offending the wrong people, proclaiming Jesus as the Messiah and later wondering if he is indeed “the One.” John, who must have been a huge disappointment to his priestly father. John, whose appearance we know more about than anyone else in Scripture. John, whose passion for speaking out cost him…. well, that happens later. Church is a constant for many of us, a community, a place to ask the Big Questions, a place for the head and the heart. “Could you not watch with me for one hour?” Jesus asked his sleeping Disciples on Maundy Thursday. Each Sunday morning, maybe he asks the same of us? It will be about an hour.